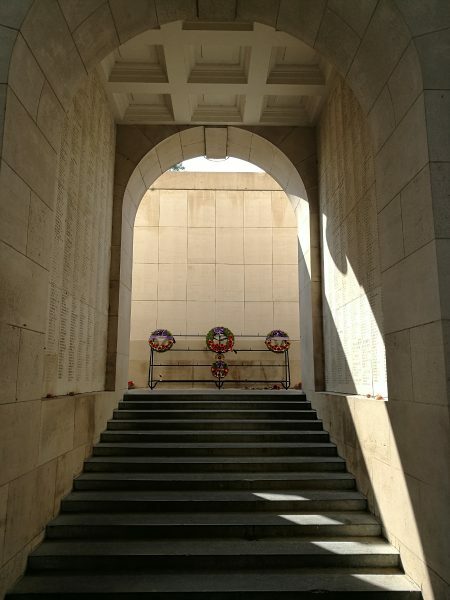 A while ago I wrote a post about what I call “Remembrance Travel” – and visiting the war grave of my great-great-grandfather in France. 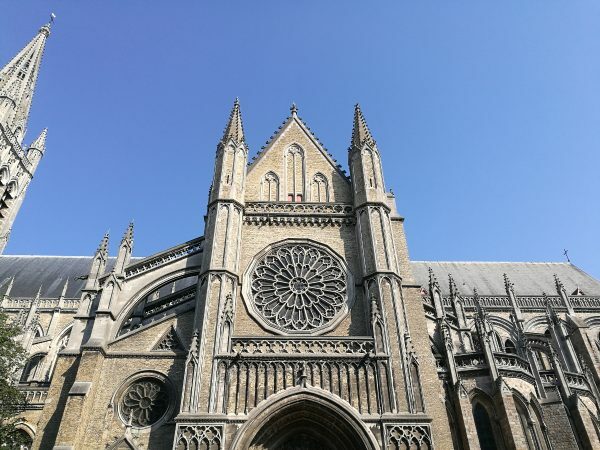 Continuing on with this theme, today I am going to show you around the city of Ypres in Belgium, which is also a place where people often travel to remember those that died during the First World War. 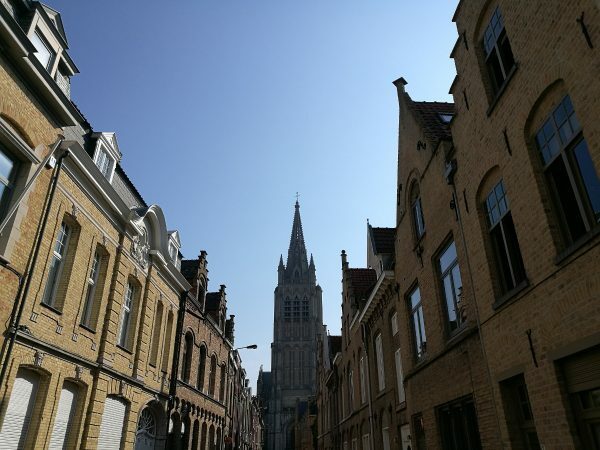 The city of Ypres was located in a strategic position during the First World War, right in the path of Germany’s planned sweep across Belgium and into France. Many bloody battles were fought between the German forces and the Allied in this area, attempting to gain and regain the territory. 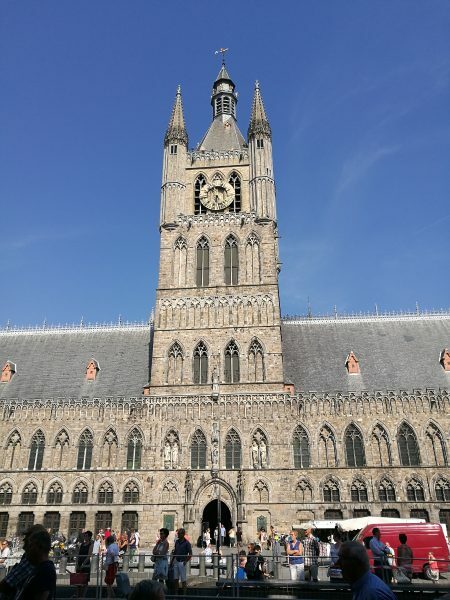 The city of Ypres was almost completely obliterated during the many battles fought here, and after the war the town was rebuilt (using German repatriation money) with the main square as close to the original designs as possible. 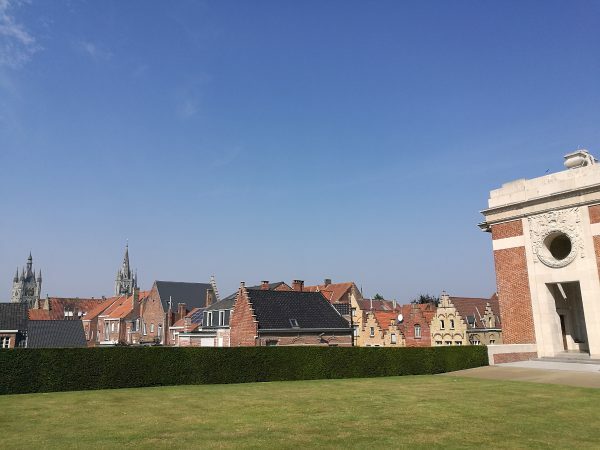 Because so many lives were lost fighting for this part of Belgium Ypres became home to many memorials and a lot of people embark on remembrance travel to this area. One of the places many people visit in Ypres is the In Flanders Fields Museum. 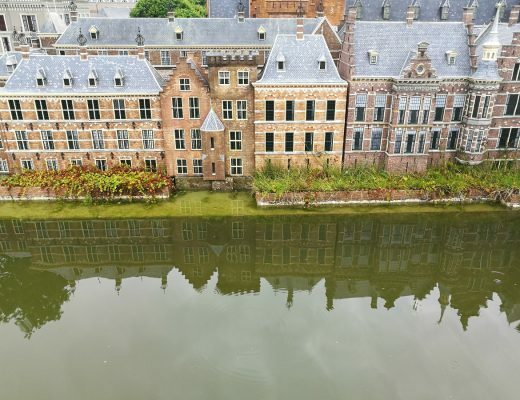 The museum is housed inside the Cloth Hall, which is an exact replica of the original medieval building destroyed during the war and is now a UNESCO World Heritage Site. 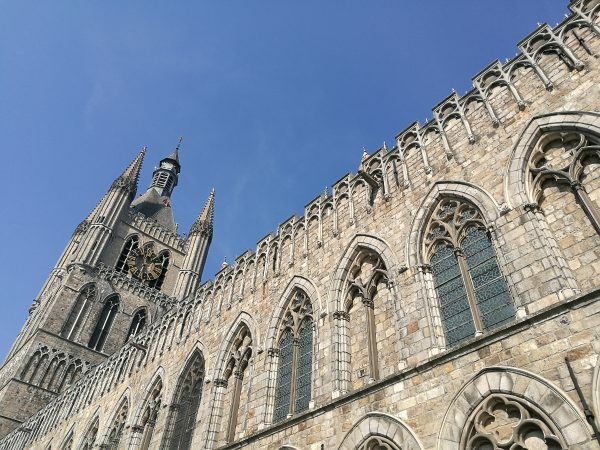 We were lucky to visit Ypres in summer, on a gorgeous day to see all the beautiful buildings and sites. 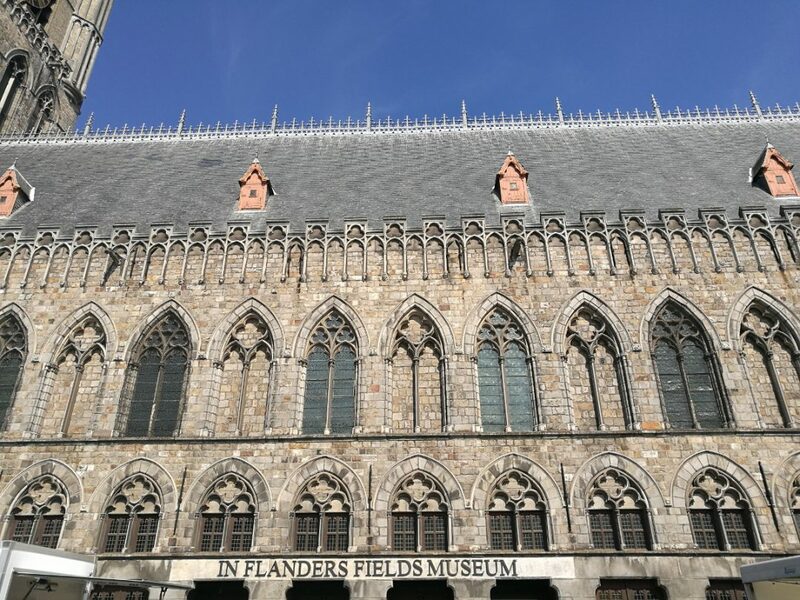 The In Flanders Fields Museum is dedicated to Ypres’s role in the First World War and named after the famous poem by Canadian Jon McCrae. 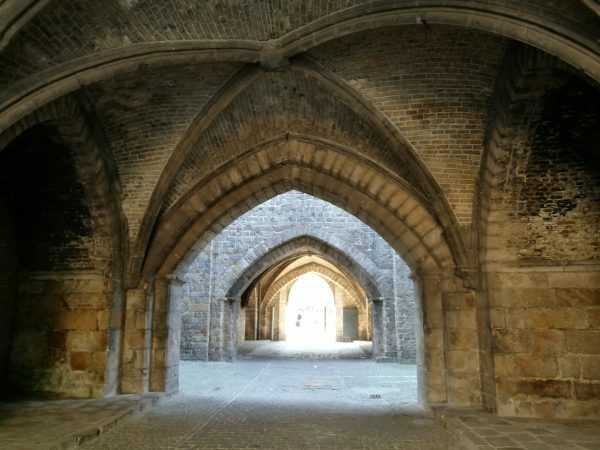 We walked under and through the Cloth Hall, then out into the main square where the entrance to the museum is. 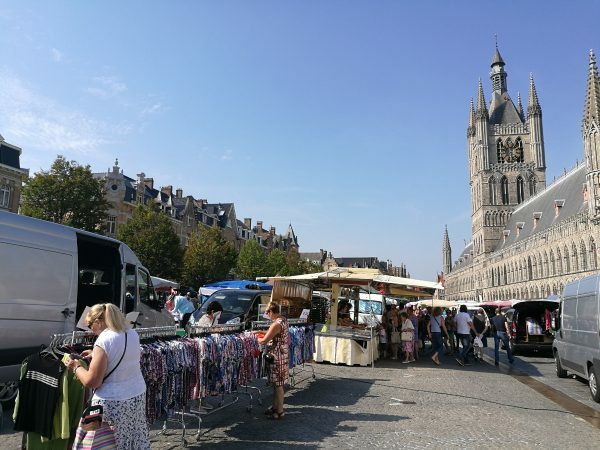 There was also a big market happening in the town centre. The Cloth Hall is an absolutely stunning building. 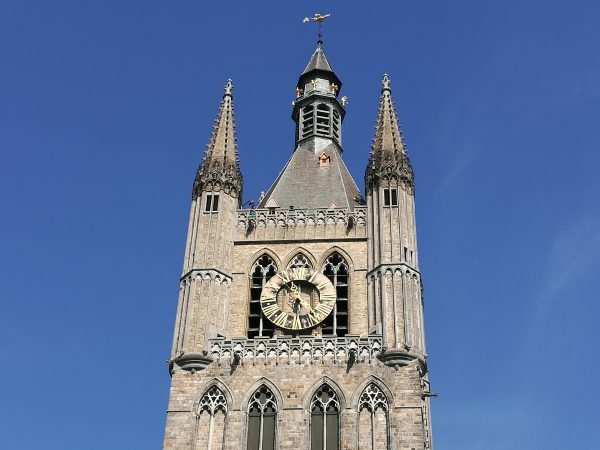 We didn’t go into the museum but I did notice with interest that you can apparently climb all the way up to the top of the belfry and look out over Ypres below. I’m sure the view from up there must be amazing! 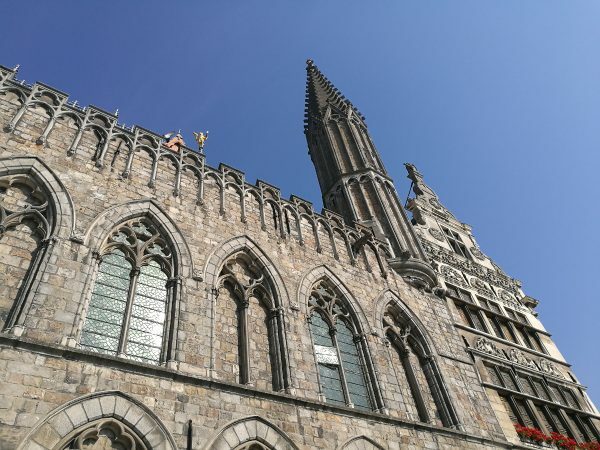 The Gothic Saint Martin’s Cathedral was also rebuilt after the war, and is just as stunning as the Cloth Hall. 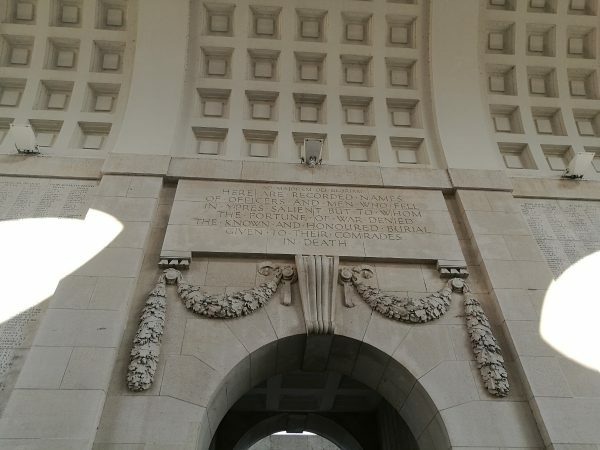 After wandering around the main square we then walked out to the Menin Gate Memorial to the Missing. 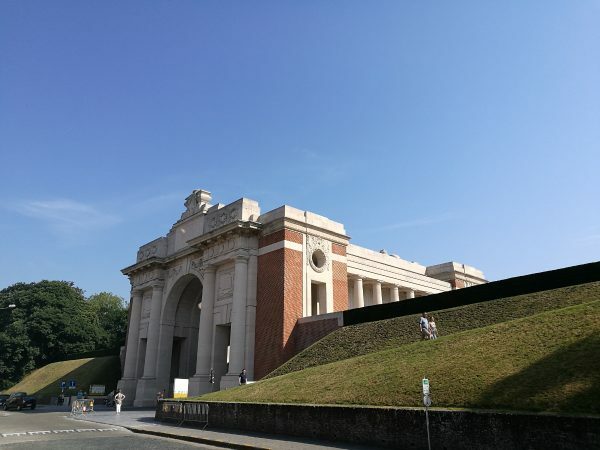 This war memorial is dedicated to the British and Commonwealth (except for New Zealand and Newfoundland) soldiers killed in the Ypres Salient who’s graves are unknown. 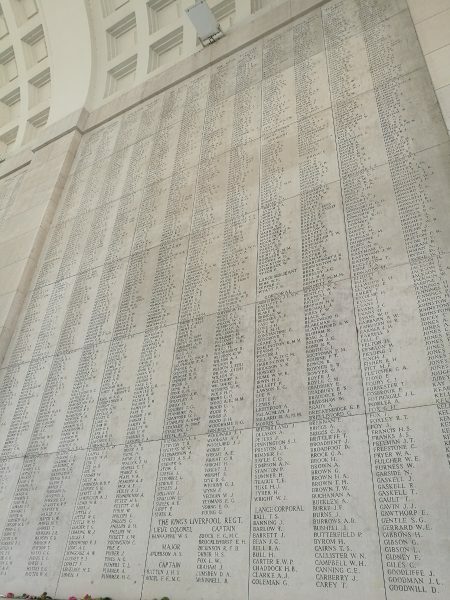 This memorial is absolutely staggering, as it shows you in a very real way just how many soldiers lost their lives and weren’t ever even found. 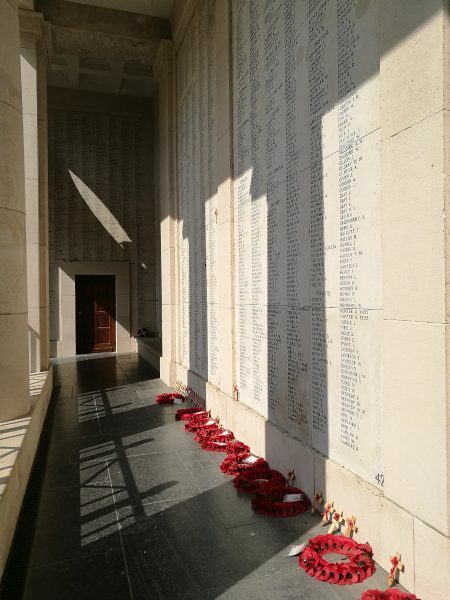 There are 54,395 names engraved throughout this huge mausoleum and it really highlights the sadness and futility of war when so many bodies of soldiers were never even found. 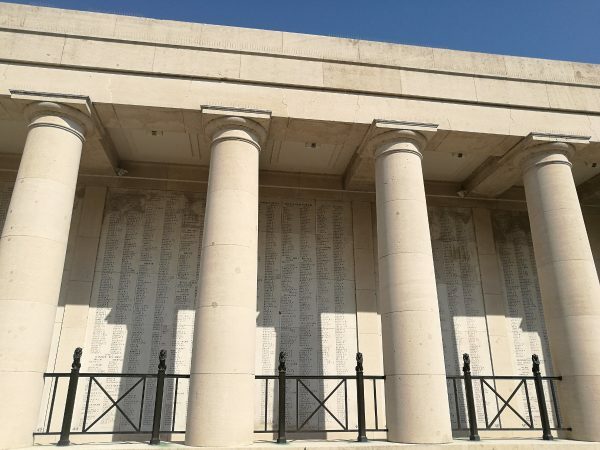 The Menin Gate doesn’t even include all the names of all the missing, as they ran out of room and so the missing soldiers from New Zealand, Newfoundland and 34,984 UK soldiers are remembered at other locations. 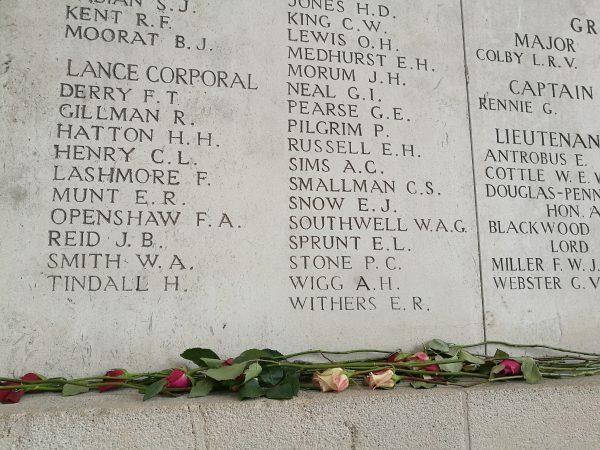 Just wandering around and seeing so many names from so many countries is a very humbling experience. 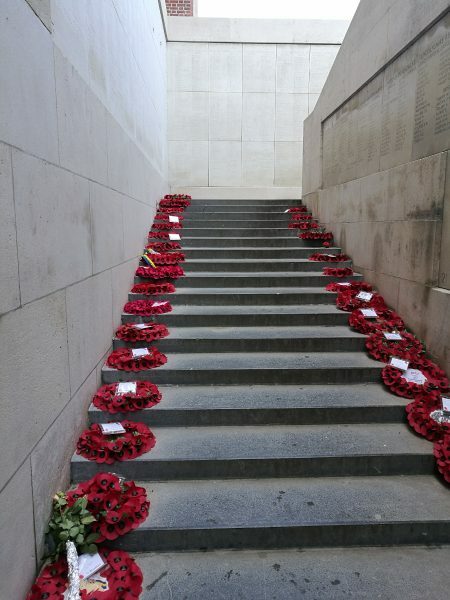 Along with all the names it was also nice to see that other people regularly travel here in order to honour and remember the fallen as there were lots of wreaths, flowers and other tokens throughout the structure. 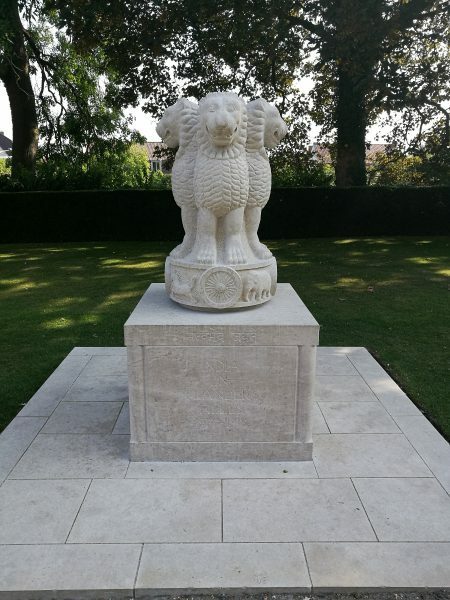 There are some lovely gardens on the city walls next to the gate, which also feature memorials to Allied soldiers who died at Ypres, such as the below monument to Indian soldiers, and it’s quite a lovely spot to overlook the city as well. 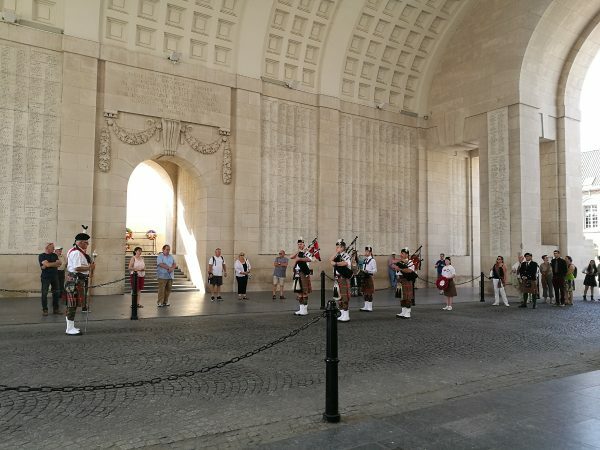 While we were there we even witnessed a group of people taking part in Remembrance Travel as well, a group of Scottish Lords and Ladies had travelled over and processed through the streets of Ypres with a bagpipe band to the gate. 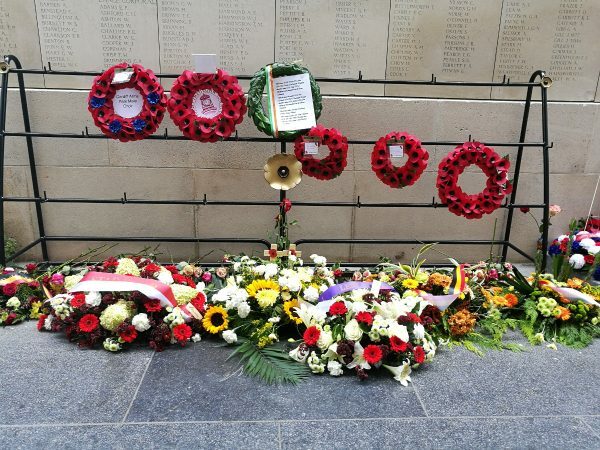 Then they conducted their own memorial service to the fallen soldiers from Scotland, with representatives from many of the clans that the fallen soldiers were part of. It was quite moving to see, and seems to be a fairly regular occurrence that whenever people come to pay their respects to their ancestors the local police close off traffic and organise volunteers to play the last post. Of course, every night at 8pm the road is closed and the last post is played. 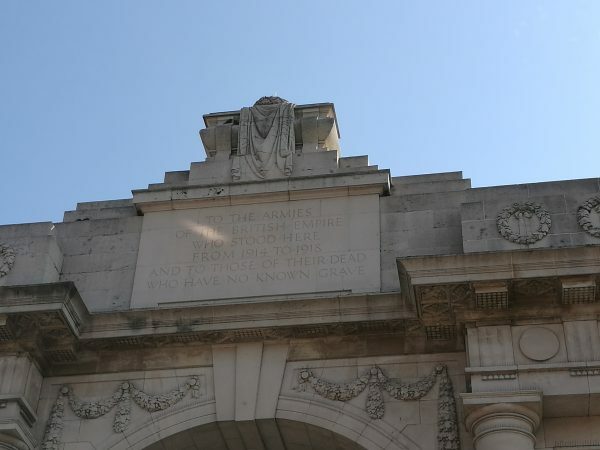 Apart from during the German occupation of Ypres during WWII (when the ceremony was conducted nightly in England) this ceremony has been conducted every single night since the 2nd July 1928. 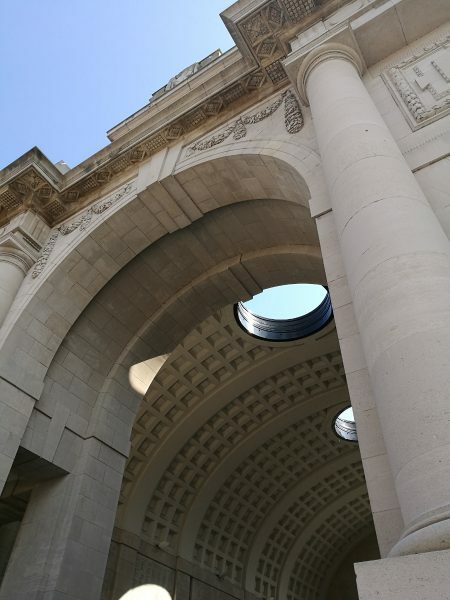 This ceremony is a way for the citizens of Ypres to express their gratitude to those that gave their lives for Belgium’s freedom, and individuals or groups from around the world are also able to take part by laying a wreath, or applying for bands or choirs to participate in the ceremony. 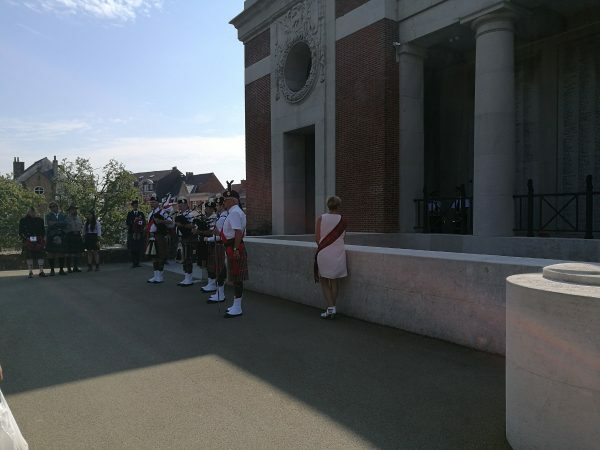 We didn’t stay for the last post but I felt quite honoured to get a taste of it during the ceremony performed by the Scottish group we saw. 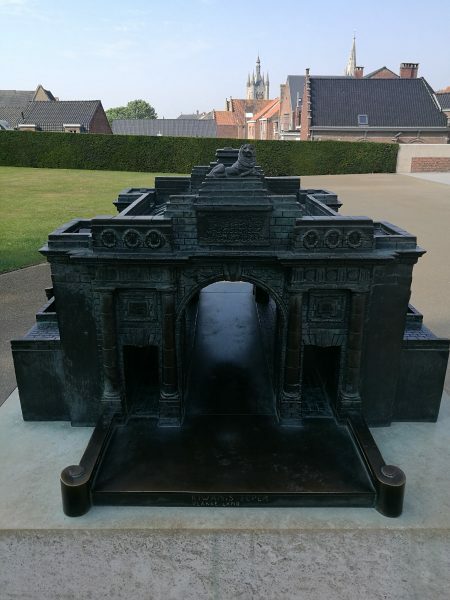 Both the In Flanders Fields Museum and the Menin Gate are haunting memorials to the awful loss of life sustained during any war. Hopefully other people will continue to embark on remembrance travel and help to prevent tragedy on such scales ever occurring again. 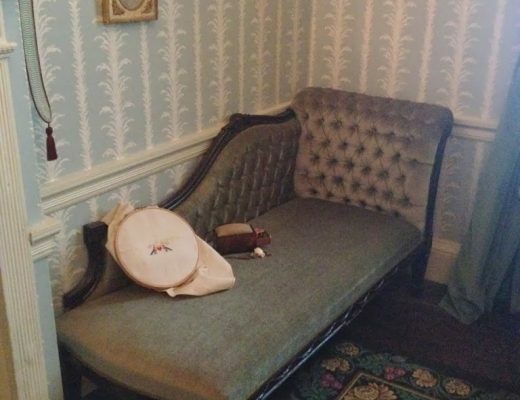 If you are interested in visiting the museum, have a look at their website here. 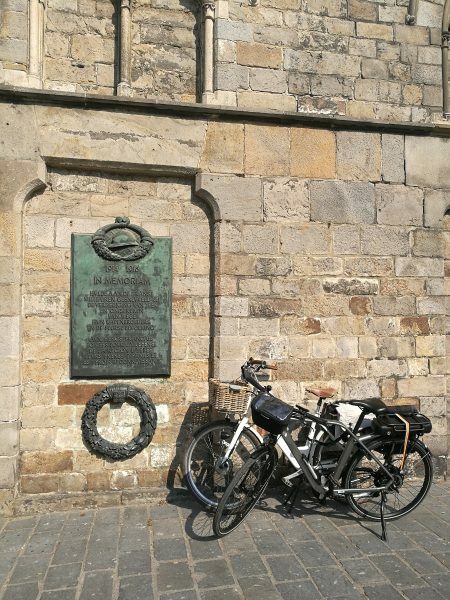 Have you ever visited Ypres, or taken part in a form of remembrance travel? 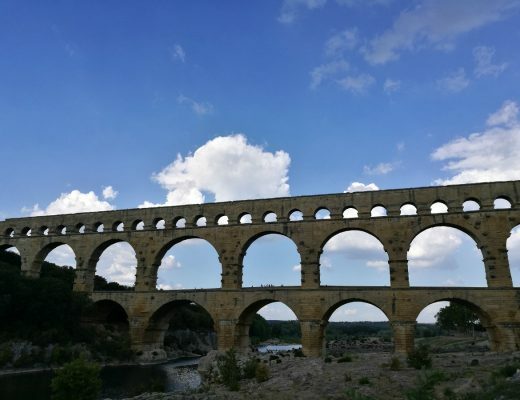 Let me know in the comments and keep an eye out for more Europe travel posts soon!